Hey ladies, have you ever come through an incident where one is looking continuously at your face for a while? That time you might be perplexed. The fact is that you may have firm skin tone or you may have open pored skin. Both chances are there!! Congratulate if you have firm skin. But….if you have open pores, then this product is must-to-use. the secret to look younger. 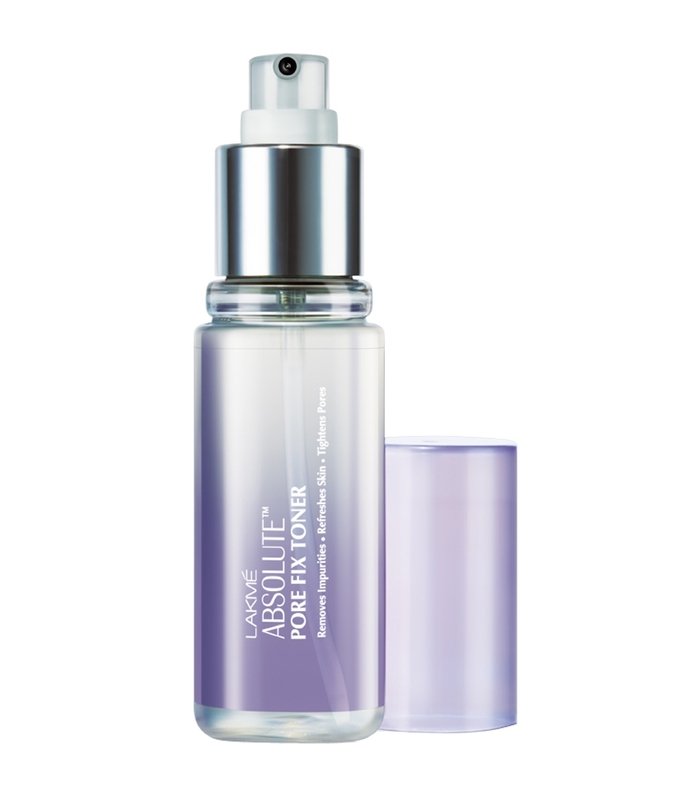 How it looks – It’s a transparent liquid comes in attractive translucent lavender colour plastic bottle. It has nozzle with spray. Take a small quantity of spray on a dab of cotton, apply it on your face and leave it for overnight or you can use it in the morning also. I buy this product online since 6 months before. 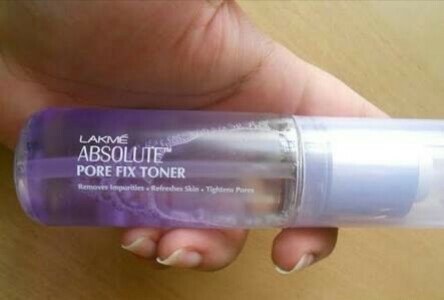 I am quite satisfied with this toner for it has improved the tone of my skin. The moment I apply it on my face, I feel refreshing and clean and clear. I can see remarkable changes in the size of my pores. 2. It has spary nozzle with it, so it stops the wastage of the toner. 1. It’s costly as compared to its volume. 2. You can use cotton buds or can directly apply from bottle as it’s pump is enough to spray. 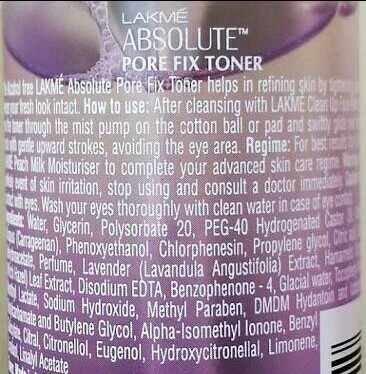 Would I recommend Lakme absolute Pore fix toner ??? I would strongly recommend it to everyone who are suffering from lager open pores as it does tightening the skin and gives you a smooth and soft look. Very important thing is, it does not contain alcohol as other toners. Suggestions – Fragrance can be changed. It will be better if it comes in fruity smell.